As one of the world’s leading refit shipyards, Amico & Co is accustomed to anticipating the needs of the market. 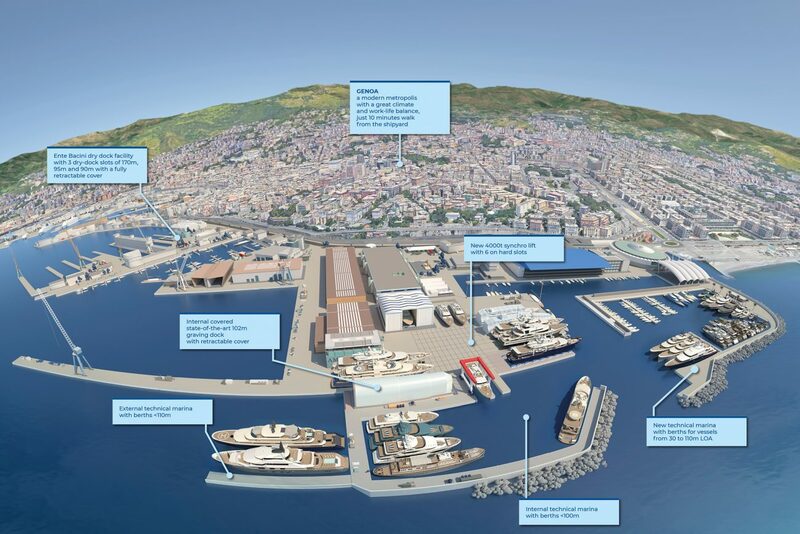 Since 2015, the yard has been designing and promoting authorization for new developments by proposing an ambitious master plan to the Genoa Port Authority for developing a new Megayacht Hub. Whilst the present facilities stand out from those of competitors, offering 8 slots of up to 90m in total with covered dry-dock/refit sheds, due to the increase both in client demand and average size of yachts it has become evident that new initiatives and investments are required to create greater overall capacity. New dry-docking solutions, larger and improved megayacht berths, better crew areas and contractor services are needed, plus a more efficient connection between the yard’s marinas and the nearby city. Realizing these improvements will take the Genoa refit shipyard founded 27 years ago to new heights in terms of the range of facilities available in the megayacht refit sector. The fulcrum of the development is a 15,000 m2 yard expansion, including the construction of a 4,000-ton shiplift capable of hoisting yachts up to the displacement limit (around 95m), with a shore-moving system capable of transferring yachts on the hard without interference between the different slots. The 3 open on-the-hard slots, plus the 6 refit sheds for yachts up to 60m, will still be operational together with the 835-ton travel lift. The two covered graving dry docks will benefit from improvements to create the most efficient service and refit facilities in the 90-100m range available on the market. Further open graving dry dock solutions up to 200m will provide added value to the existing services. From November 2018, Amico&Co will start partial operations in the new Megayacht Marina in the eastern part of the yard. An area of approximately 60,000 m2 will undergo a transformation thanks to an investment of €5,5 million in new quays, parking spaces, improved logistics, crew-dedicated areas, public areas and services, with 80% of the investment completed by 2019. The Marina will accommodate mainly superyachts and megayachts up to 110m LOA. Two important initiatives have been created to make a refit at Amico & Co a smoother experience for crews. The Amico Shuttle runs between the shipyard, dry-docks and the city centre Monday to Friday after working hours,and on Saturday evenings, making it easier for crews to return to their rented accommodation or frequent sport facilities and enjoy the nightlife in the vibrant Genoa city centre. The Italian Experience is a hospitality project by Amico & Co and yacht & ship agent Pesto Sea Group, allowing crews to make the most of the Italian experience, with Genoa city as the starting point either for local hospitality adventures or team-building excursions, such as cookery lessons, wine tours to the Langhe or Tuscany, hiking on the Portofino mountain and beyond, orienteering, watersports and MTB tours in the Ligurian countryside, plus skiing or snowboarding trips to the nearby Alps. 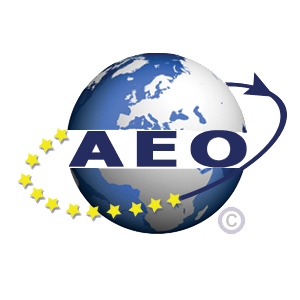 Purchasable packages are available on the portal www.italianexperienceforcrew.com, or bespoke packages can be created to keep crews motivated and to let them enjoy their stay. The goal of Amico & Co, the city of Genoa and local partners to be a world leading full-range megayacht destination is no longer a dream: shipyards, marinas and the city itself will plan and act as one to deliver the best from human resources, infrastructures and the region to visiting superyachts, crews and management. Italian manufacturing capability, lifestyle and culture will be at the service of the yachting community, delivering consistent business relationships and an enjoyable sojourn.